KEN YUSZKUS/Staff photo. 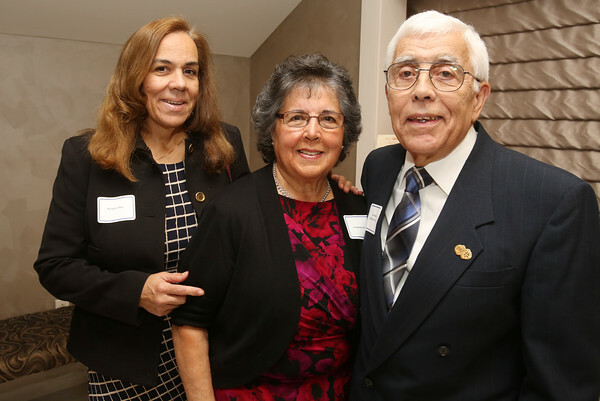 Right, Jose “Joe” Mendonca, his wife Marguerite, center, and his daughter, Maryann Pierce, left, at the Peabody Chamber of Commerce annual dinner which featured the Harry Ankeles Community Service Award winner Jose “Joe” Mendonca. 11/05/15.